Kubedex, a top destination to discover, compare and share Kubernetes Applications, recently shared an interesting, and self-described “brutal” article comparing cloud-hosted Kubernetes providers. 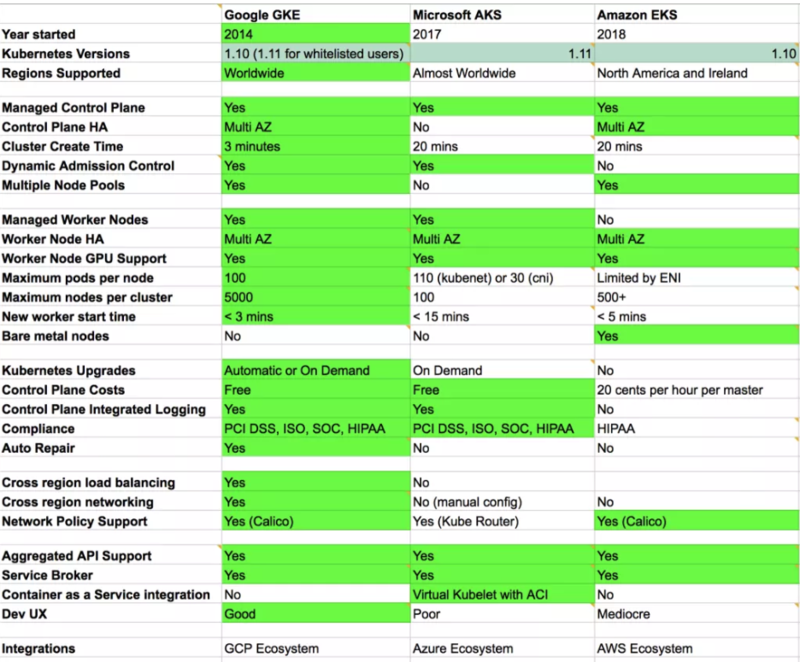 A screenshot of the Google sheet comparing GKE, AKS, and EKS. 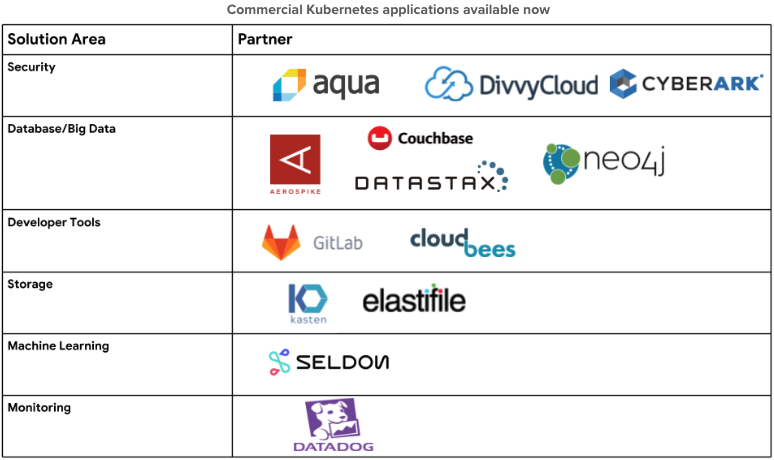 We found this particularly interesting because in July Google introduced commercial Kubernetes applications in their GCP Marketplace and DivvyCloud was proud to be included as a launch partner. That made it even easier for customers to deploy DivvyCloud to mitigate security and compliance risk while embracing the dynamic, self-service nature of Kubernetes. Now our customers can govern their container environments running on AWS Elastic Kubernetes Service (EKS), Google Kubernetes Engine (GKE), and Microsoft Azure Kubernetes Service (AKS). They use DivvyCloud to monitor, apply policy, and take action on six resource types: Containers, Pods, Ingress, Node, Deployments, and Services. For the first time, customers can gain a holistic view of their cloud container infrastructure and apply policies across all the related and support elements (e.g., IAM and underlying or related cloud infrastructure). Whether you agree with the author’s opinions or not, DivvyCloud’s software covers all three cloud-hosted Kubernetes providers and enables organizations to achieve continuous security governance of their container infrastructure. Interested in learning more? Get your free trial of DivvyCloud or speak with a DivvyCloud expert today!